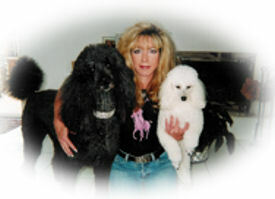 The natural and holistic approach to pet care, animal nutrition & human health and wellness. 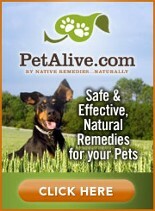 Healthy products and alternative treatments to help you and your pets achieve and maintain a healthy lifestyle. Keep up with the latest news on pet care, pet nutrition, pet food recalls, natural pet products and more from the holistic pet professionals! We're helping pets and animals to lead healthy, active lives. Over the past decade or so, many veterinarians have become increasingly convinced that a number of vaccines are doing more harm than good for our animal companions. Some remain necessary, even mandated by law, such as rabies. But not all the annual boosters that have been traditionally given now appear to be necessary and they may be leading to several diseases. Among the conditions associated with vaccines are skin allergies, bladder infections and cancer. The U. S. veterinary community is currently reviewing most vaccines protocols. When it is time to revaccinate your animal, your veterinarian should consider the pet's age, his/her lifestyle (indoor or outdoor), his/her general state of health, the prevalence of the disease in question in the geographic area where you live, whether your animal is pregnant, whether or not you board her/him and other factors. Each case is individual and should be considered as such. 1. Try to get your veterinarian to give single or simple vaccines rather than complex vaccines. Young animals can tolerate a reduced vaccination schedule, but vaccinating is not advised before sixteen weeks of age. 2. Annual boosters should be avoided even though they have been popular. Pitcairn goes so far as to say avoid "any further vaccinations after the initial series as they are not necessary." He adds that the latest official medical opinion is that annual boosters are neither required nor effective, although not all veterinarians will agree with or even know this fact. Perhaps the most shocking and informative book about the pet food industry is Ann Martin's "Food Pet's Die For", published in 1997. As Dr. Michael W. Fox, vice president of the Humane Society of the United States, says, "Ann Martin is to the pet food industry what Rachel Caron was to the petrochemical-pesticide industry." Martin spent seven years investigating the commercial pet food industry and what she uncovered isn't pretty. There are several reasons you really do not want to feed your dog or cat commercial foods. Perhaps the most compelling moral reason is that there are rendered, euthanized pets in much of this food. These pets have been mixed with other materials, including some condemned for human consumption: "rotten meat from supermarket shelves, restaurant grease and the “4-D” (dead, diseased, dying and disabled) animals and roadkill." The Minister of Agriculture of Quebec told Martin that dead animals are often cooked with viscera, bones, fat and fur. In both the United States and Quebec, this rendering of pets is not illegal. Martin points to an article originally published in the San Francisco Chronicle in which an employee and ex-employee of a rendering plant admitted that their company rendered approximately 250,000 to 500,000 pounds of animals, scraps and more, including "somewhere between 10,000 and 30,000 pounds of dogs and cats a day." That's enough to make most of us sick, isn't it? Martin, a Canadian writer who lives with several animal companions, went a bit further in her investigations and discovered that some pets are euthanized with sodium pentobarbital and then rendered. This poison does not break	down and goes into commercial pet food and feed for cows, pigs and horses. For the detailed report by the FDA's Center for Veterinary Medicine on popular commercial pet foods containing pentobarbital, click here. When you read the report, please know that AD (animal digest) is animal waste (to be polite)! Two thirds of the pet food manufactured in the United States contains added preservatives, according to the Animal Protection Institute. There are also coloring agents, emulsifiers, lubricants, flavoring agents, pH control agents, synergists and solvents. "Of the more than 8,600 recognized food additives today, no toxicity information is available for 46% of them," the institute says. EQ (ethoxyquin) is the most common antioxidant preservative in pet foods. It has been found in some dogs' livers and tissues months after the animal stopped ingesting it. Ethoxyquin is manufactured by Monsanto Chemical, the largest manufacturer of bioengineered foods. EQ is listed as a hazardous chemical by the Occupational Safety and Health Administration (OSHA) and is considered a pesticide by the USDA. It is used in most US dog food, but is banned in Europe. The FDA's Center for Veterinary Medicine requested that pet food manufacturers voluntarily reduce the maximum level for ethoxyquin by half to 75 parts per million. Healthy products and alternative treatments to help you and your pets achieve and maintain a healthy lifestyle. Transfer Factor Plus Tri Factor is the ultimate in supporting a healthy immune system in pets and humans.